For many years, my biggest aspiration in life was to one day create a game that would inspire people to illustrate fan art, write fan fiction, and wear cosplay. I’m absolutely thrilled to see that a fandom has sprouted up around Yandere Simulator! I’m filled with glee whenever I see fan-made artwork or stories that were inspired by Yandere Sim, and I think that seeing people dress up as Yandere-chan is the coolest thing in the world! Sometimes, people even imagine new characters for Yandere-chan’s school, or imagine new rivals for Yandere-chan to defeat. I think this is just as cool as all other fan creations! However, there’s something that I should mention: You’re welcome to share your creations with me, but I can’t include any of your original characters in Yandere Simulator. The reason why is a little bit complicated, so I’m going to explain using an anecdote. Are you familiar with Skullgirls? It’s my favorite fighting game! The character named Parasoul commands a group of soldiers, one of whom is a sniper. 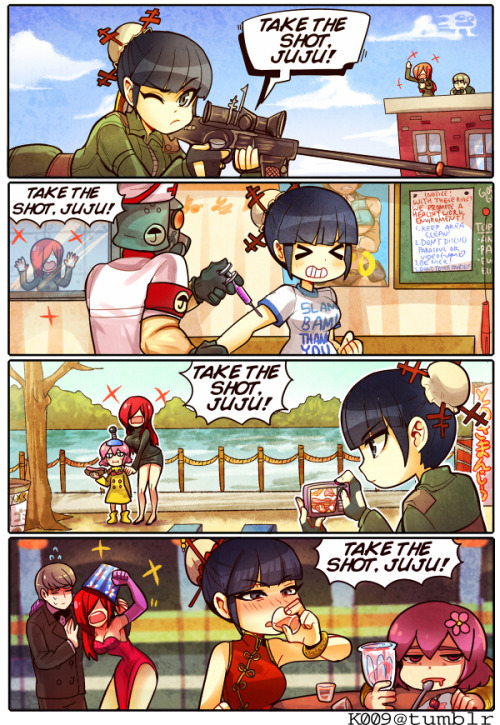 Shortly after Parasol was announced, a certain gentleman made a post on the Skullgirls Facebook page, stating that Parasoul’s sniper should be named “Juju”, be a Chinese assassin, and have a talking rifle. As a nod to this gentleman‘s suggestion, the line “Take the shot, Juju!” was added to Skullgirls. During Skullgirls’ IndieGogo campaign, the developers of the game allowed fans to vote for which characters should become playable in the future. Juju showed up on the poll as a potential playable character. The gentleman who originally proposed the concept of Juju then made a Facebook post stating that he wished to be compensated for designing a character who was being used in a commercial product. The creators of Skullgirls began negotiating with this gentleman to get the rights to his character. However, it was very difficult for these two parties to reach a mutually satisfactory agreement, and acquiring the rights to Juju turned into a messy legal battle that lasted for several months. After “continued disruptive and unprofessional conduct” from the gentleman who created Juju, the creators of Lab Zero decided to completely axe the character. “Take the shot, Juju!” was removed from the game, and the character was declared non-canon. The moral of this story is that if you’re a game developer, and you use a fan-created character in your game without formally acquiring the rights to that character, you’re potentially setting yourself up for a legal nightmare. If someone wants to design a character for Yandere Simulator, I must require them to sign a copyright transfer agreement which grants me the unlimited and exclusive right to sell, modify, produce derivative works of, display, distribute, or otherwise use their design in any form and by any method, within Yandere Simulator and all directly related media. Anything less than that, and I’m painting a target on my forehead and inviting them to sue me. In other words, I refuse to let Yandere Simulator get “Juju’d”. If you’ve designed a character for Yandere Simulator, and want to see your character appear in the game, I’m flattered – but I can’t use your design. It’s possible that, one day, in the future, when I launch the Yandere Simulator crowd-funding campaign, one of the “backer rewards” will be the privilege of designing a student who will appear in the game. The backer will be able to choose the student’s name, personality, and schedule. This may be expensive. If there are extremely few “open character slots”, if it takes a lot of time and effort to implement a new student, and if Yandere Simulator requires a lot of money to be fully funded, then you would have to donate a very significant amount of money to see your character appear in the game. The bottom line: I’m always delighted to see an original character that someone has designed for fun, but at this point in time, I can’t put your original characters into Yandere Sim. As stated above, I’ve learned important lessons from Juju, and I need to protect myself from those who would seek to take advantage of me. Yesterday’s blog post received a much higher number of comments than the average blog post. Several people voiced some concerns, and I’d like to address them. I re-read the relevant paragraph in yesterday’s blog post, and I think I can understand how someone would interpret it that way. Allow me to clarify. Since the exact moment I accepted help from the very first volunteer, I acknowledged that every volunteer owns every asset they create, and that any volunteer, at any point in time, can say “You no longer have permission to use my work in your game.” Unless we’ve both signed a copyright transfer agreement or a contract that gives me the legal right to use their work in a commercial product, any volunteer can say “Remove my work from Yandere Simulator immediately” and I’d be obligated to obey them. Because of this situation, it would be extremely easy for an unscrupulous volunteer to try and take advantage of me by saying, “Pay me $1000 right now, or else you must remove all of my assets from your game” one hour before I plan to post a new build of the game. I’d face the choice of making a “delay apology” video, removing their assets from the game, and scrambling to replace those assets…or just paying them $1,000. In this situation, of course, I would not give in to their ransom demands. I would delete their assets, post a “Delay Apology” video, and explain that the new build is delayed because of someone’s greed. If a volunteer holds the game hostage, they are not just screwing me over, they are also delaying the game for the literally hundreds of thousands of people who play this game. If someone screws over the entire Yandere Simulator fanbase, I’m going to let you know that they did it. All volunteers have the right to tell me I can’t use their work anymore. All volunteers have the right to charge money for their work. If a volunteer says “Hey YandereDev, I’ve been doing a lot of work for you, can we discuss compensation?” I’d happily discuss it with them. If a volunteer asks for an absurd amount of money at an inconvenient time because they are attempting to extort money out of me, they won’t be able to do so without 300,000 people hearing about it. Greed can make people do horrible things. If I don’t publicly state that I’m not going to let people push me around, then people are definitely going to try to push me around. Volunteers shouldn’t be scared to discuss money with me, but anyone who tries to double-cross me or extort me should not believe they can do so without consequences. If you’re curious, every volunteer who I’ve spoken to since I wrote yesterday’s blog post has reacted positively to the news. Nobody has told me that they find it to be unfair. I understand why you would feel that way. Instead of linking to someone’s artwork and using it as an example of artwork that doesn’t meet my standards, I probably should have personally drawn an illustration to demonstrate what bad artwork looks like, since my own artwork looks even worse than the example I posted yesterday. Nobody appreciates their work being held up as an example of “bad” work. This should go without saying, but I’ll say it just in case it’s not apparent: I really appreciate the fact that people generously offer to help me develop Yandere Simulator. I’m very grateful for that. I’m super thankful for that. The entire project relies on that. However, far too much of my time is wasted reading e-mails from amateur artists who want to volunteer for the game despite the fact that their artwork is obviously not high-quality enough to appear in a commercial product. It really needs to stop. If your artwork is at this level of quality, please do not volunteer for the game; you’re wasting my time, and your time, as well. If you feel sad that your artwork is considered “low-quality”, don’t get bitter; get better. Turn that sadness into a burning passion for self-improvement that drives you to grow as an artist and become the type of person who can eventually contribute meaningfully to a video game. I can promise to make you a video game. I can’t promise to have an infinite amount of patience and friendliness at all times. Being a fan of Yandere Simulator does not give you a free pass to waste my time. Being a fan of Yandere Simulator does not mean that you are entitled to special treatment. If you send me a stupid question, a stupid suggestion, or waste my time, I will strongly discourage you from ever doing it again. I am YandereDev, not SoftFluffyGentleDev. I’m here to make a video game, not to handle every person who speaks to me with kid gloves. With that said, 99% of the interactions that I have with fans over e-mail and Twitter are actually very pleasant and fun. 1% of the time, I do have to tell someone that they are being obnoxious and tell them to stop bothering me, but it’s honestly not a frequent occurrence. 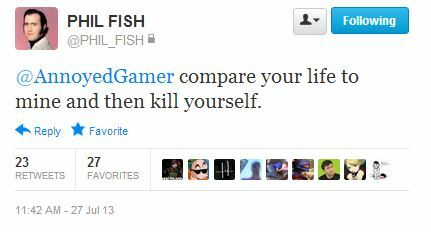 If you really think I’m rude, you should research other indie game developers and find out what a rude developer REALLY sounds like. I’m not Bethesda. I’m not CD Projekt Red. I’m not From Software. I’m not Kojima Productions. I’m not Nintendo. I’m one programmer with the support of some volunteers. I’m programming one feature at a time. If you want to see a game come out faster, I recommend following a game that is being developed by a company, instead. I believe that the number of original assets far outnumbers the number of store-bought assets. Hopefully, the final game will contain 100% original assets. Correct. That’s what a game is like before it’s finished. If you want a finished game, please check back in the future. No, it’s really not. It’s honestly a bad idea to hire a secretary. I’ve covered this topic before. It’s frustrating to see this subject get brought up so frequently. Anyone who suggests this is not thinking it through. If I started making defensive blog posts every day, this blog would quickly become a very lame place. I won’t make posts like this very often, but I feel like I had to speak up after reading the comments on yesterday’s blog post. If someone has a problem with me, I really wish that I could have a dialogue with them and assuage their concerns. They might learn that they have misunderstood me or have misjudged me. However, I simply don’t have enough spare time to have a conversation with every single person who has formed a negative opinion of me. As a result, the comment section of every blog post might be absolutely full of misunderstandings and misinterpretations that lead to arguments and insults. This is extremely unfortunate. All I can ask is that, before you write a giant scathing post about how I’m literally worse than Hitler and Satan combined, just consider the possibility that a couple of brief statements from me would actually clear everything up. This blog post is about donations and volunteers. If you don’t care about any of that stuff, click here for information on the most recent build. If this post looks too long for you to read, scroll down to the last paragraph for a summary. When I first started working on Yandere Simulator, I was a freelance programmer. 90% of my time was spent working on freelance jobs, and I only worked on Yandere Simulator for a few hours every week, in my spare time. Many people wanted me to work on Yandere Simulator as a full-time job, so I started using Patreon, a service which allows you to send monthly donations to someone. I stated that if my Patreon reached a certain threshold, then I would stop taking freelance jobs, and work on Yandere Simulator as a full-time job. My Patreon hit the “full-time” threshold pretty quickly, so I stopped looking for freelance jobs, and began working on Yandere Simulator full-time. It’s been that way for almost a year now. The Patreon is my “payment” for spending 12+ hours a day, 7 days a week working on this game. The Patreon is not the game’s budget. When you donate to someone via Patreon, Patreon takes a cut, a credit card company charges a fee to transfer the money, and the government eventually taxes that money. The number that you see when you look at my Patreon page is not what I actually receive every month. The game’s actual budget will be raised during a crowd-funding campaign (using a service such as Kickstarter). This campaign will be launched once Yandere Simulator meets my own personal criteria for “A game I’d back on Kickstarter.” The crowd-funding campaign won’t happen until April at the soonest. Just because the only two reward tiers are for $1 and $100, this doesn’t mean that you’re required to donate either $1 or $100. You can donate absolutely any amount. I set the “full-time employee” threshold at $3,500 per month. We’re just barely past that mark, at around $3,600 per month. Because I’ve only been asking for $3,500, I’ve been counting the excess money towards the game’s budget. In other words, if the game needs $100,000, but I obtain a surplus of $10,000 through Patron, then I only need to ask for $90,000 during the Kickstarter. Get it? For almost 20 months, I’ve been accepting volunteer help with Yandere Simulator. These volunteers have been offering their assistance completely for free. Every day, I hear from several new people who’d like to pitch in with the game. Not all of them are skilled enough to contribute meaningfully to Yandere Simulator, but some of them certainly are. Some volunteers are available to help every day, and other volunteers are only able to spare me a few hours per a month. Sometimes, I won’t need to ask a volunteer for help for weeks at a time…but in other cases, a volunteer is so valuable that I constantly have tasks for them, and would be absolutely lost without them. At this point in time, several extremely talented volunteers have proven themselves to be absolutely irreplaceable. I want to make them permanent team-members and have them work on Yandere Simulator full-time. I can’t pay a team of people to help me full-time without tens of thousands of dollars, but I’m not ready to ask for that much money yet; that’s what the crowd-funding campaign will be for. However, there is a middle ground that exists between “free volunteer” and “full-time employee”. Some volunteers are freelancers whose contributions to a project are directly proportional to how much they’re getting paid to work on that project. By paying one of these volunteers about $500 per month, I can have more of their focus and attention. They don’t become full-time employees, but they would switch from contributing to Yandere Simulator weekly to contributing daily. So, what does that mean? This means that I’m adding new milestone goals to the Patreon. $3,500 is my personal “full-time” threshold. $4,000 means that I can afford to pay a volunteer $500 per month for extra effort and assistance. $4,500 means that I can afford to pay TWO volunteers $500 per month, or pay one volunteer $1,000 per month. $5,000 means that I could afford to pay three volunteers…etc. The “I’ll pay you $500 per month to contribute more time and effort to Yandere Simulator” offer will not extend to every volunteer; only the volunteers whose contributions are directly required for upcoming features. Not every volunteer has “For $500 per month, I would contribute daily.” circumstances. Some volunteers might not be able to contribute to the game daily because of their full-time jobs, meaning I would have to pay them enough to quit their jobs in order to get more of their time. The $500 offer is not for those volunteers; it’s only for the ones who are able to contribute to the game daily if incentivized by $500, or a multiple of 500. It’s possible that some current volunteers might read this post and say, “Oh, you’re paying volunteers now? Well, I deserve payment for what I’ve done for you, so I’m holding my work hostage unless you make me one of the paid volunteers.” This is the fastest way to make me cut all ties with you, publicly denounce you as greedy, and never work with you again in any capacity, so think carefully before you do that. Again, the “paid volunteer” offer will only be extended to professional-quality volunteers who are currently not contributing daily, but would be able to if they began receiving compensation. There are many volunteers whose work I am so grateful for that I want to fully compensate them for all of the help that they have given me, once I have enough money to do so. The first crowd-funding “stretch goal” will be “raise enough money to pay back the most noteworthy volunteers for their help”. Additional stretch goals would be “more variety in character models”, “male protagonist”, “open-world small town”, etc. In short: I added some new milestone goals to the Patreon. If these milestone goals are reached, I can begin paying the most skilled volunteers to spend more time focusing on Yandere Simulator. This will result in better production values, and help the game come out sooner. If you read this blog post and felt concerned about a few things, please read this blog post, in which I clarify several of my statements. There was a really bad bug in the previous build that would cause the Police Investigation sequence to get caught in a never-ending loop. I believe that this bug is now fixed. If you can still find a way to make the Police Investigation sequence get stuck in a loop in this new build, please tell me exactly how to make it happen. There are a handful of other bug fixes in this build, too. Scroll down past this beautiful illustration by ginkyoheart to see the list. Fixed bug that would cause the game to get stuck at the Police Investigation sequence under specific circumstances that involved disposing of a weapon in the incinerator. Fixed bug that would cause Senpai’s body to clip into the environment if he was alarmed or surprised while sitting on the fountain. Fixed bug that would cause Senpai’s body to sink into the ground if he was alarmed during Low School Atmosphere. Fixed bug that would allow the player to send an NPC to distract an NPC who was unconscious in a box. Fixed some typos in the Police Investigation sequence. Began to implement an “ambient music in clubs” feature, and started by putting some creepy ambiance in the Occult club. Recently, I stated that I’d be making an important announcement soon. However, I want it to have its own separate blog post, so I won’t be making it today. I’m sorry for delaying it twice in a row. However, I can guarantee that the announcement will be posted tomorrow. Please come back on December 4th to hear the announcement. I’ve prepared a new build with a bunch of bug fixes. However, there are still several bugs in this build. The reason why I have not fixed those bugs is because I don’t know how to encounter those bugs. The reason why I don’t know how to encounter the bugs is because the people who are sending bug reports are not providing me with enough information. To fix a bug, I need to see a list of steps that cause the bug to happen 100% of the time. This is extremely important. Without a set of “repro steps”, I can’t reproduce the bug or try to fix it. If you figure out a set of steps that reliably causes the bug to happen, then please tell me what those steps are. If you can’t give me extremely clear instructions on exactly how to replicate the bug that you found, then don’t bother sending me a bug report. If I cannot experience the bug for myself, then I won’t be able to fix it. If all of these criteria are met, you can report bugs to yanderedev@mail.com Please include the word “Bug” somewhere in the subject of your e-mail. It would really, REALLY help if you would send me video footage of the bug, especially if it’s video footage of the exact steps that must be followed in order to produce a bug during the Police Investigation sequence. Scroll down past this lovely illustration drawn by Meeps-chan in order to see a list of all of the bug fixes in this new build. Fixed bug that could cause Kokona to break out of her Cooking Event without returning the knife to its place in the knife block, causing her to permanently walk around school with a knife in her hand. 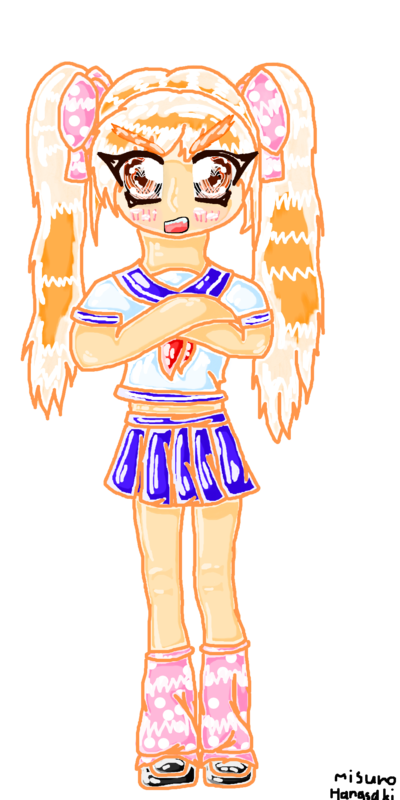 Fixed bug that would prevent Kokona from going to the locker room and taking off her clothes if Yandere-chan dumped water on her head in a bathroom stall while the bathroom lights were off. 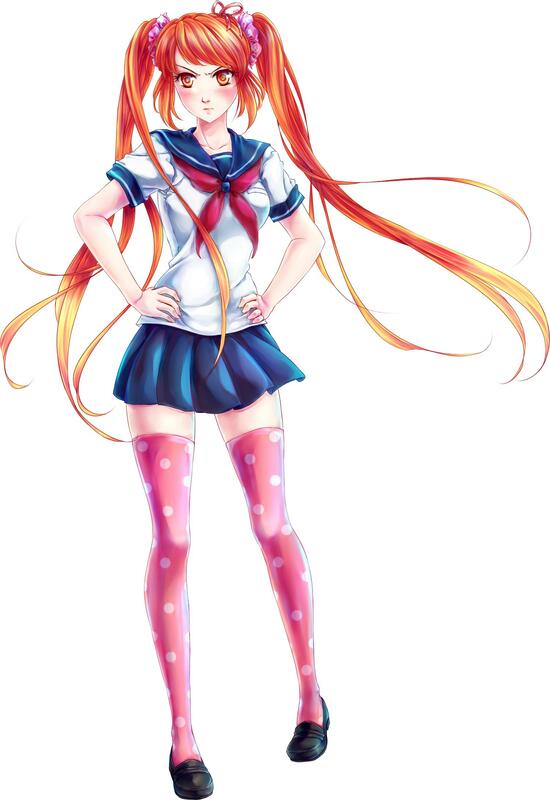 Fixed bug that would cause the game to believe that an article of bloody clothing existed somewhere on school grounds if Yandere-chan committed murder while naked. Fixed bug that would prevent a weapon from being updated with Yandere-chan’s blood if Yandere-chan already had the weapon in her inventory when equipping it. Fixed bug that would cause a plate of food to become glued to Kokona’s right hand if she became alarmed or witnessed murder while carrying a plate of food. Fixed numerous bugs that would occur during the Police Invesitgation screen if the player tranquilized Kokona-chan and then framed her for murder. Fixed bug that was causing certain props to not appear in Kokona’s hands when she was performing her “preparing food” animation. Fixed bug that would cause the kitchen knife to levitate outside of Kokona’s hand during her “preparing food” animation. Fixed bug that was causing all members of the Martial Arts Club to display the wrong club in their Student Info profile. Fixed bug that would cause the player to become unable to enter night-time if the police were not called to the school. Fixed bug that was causing two members of the Martial Arts Club to face the wrong way inside of the club. Added a “victim’s fingerprints are on the murder weapon that killed her” circumstance to the Police Investigation sequence. Updated some inaccurate / out-of-date text that would display after leveling up the Biology skill. I was planning on making an important announcement today, but it’s absolutely imperative that this blog post is seen by as many people as possible, so I’m going to save my important announcement for tomorrow, instead. If I have to upload another Bug-Fixing build tomorrow, then the important announcement will wait until the following day. Please, for the love of god, stop sending me useless bug reports! There is nothing more frustrating than that! To download the latest build, click here! If that link doesn’t work, click here! Scroll down for a complete list of every new feature in the build! The game now tracks whose blood is on a weapon. The game now tracks whose fingerprints are on a weapon. Added a new scripted event in which the student named “Kokona” will put her hands on a knife. Added the ability to frame Kokona for murder by wearing gloves and committing murder using the knife that Kokona touched. Adjusted the “End-Of-Day Sequence” so that police keep track of which weapons were used to kill which students, and whose fingerprints are on which weapons. The game no longer cancels the End-Of-Day Sequence if Yandere-chan has kidnapped a girl, poisoned a girl, or staged a suicide. Modified the teacher AI so that teachers will now call the police if they find a pool of blood or a bloody weapon anywhere on school grounds. To remove a pair of gloves, hold down the “1” key (on keyboard) or hold “down” on the directional pad (on gamepad). Replaced the “Give Study Points” debug command with a “Max Out Seduction” debug command. Added a new debug command: Press the “\” key while in class to obtain many study points. Added an “ARRESTED” game over scenario in addition to HEARTBROKEN and EXPELLED. Added a sound effect when Yandere-chan stabs a Hero during a struggle. Replaced Oka Ruto’s previous hair model with a superior hair model. Added a voice clip that plays when Yandere-chan loses a struggle. Shifted the clubrooms around and replaced “Science” with “Art”. Added a guidance counselor (who is not functional yet). Added music to the “Police Investigation” sequence. Furnished the guidance counselor’s room. Changed the “Task Complete” sound effect. Added a new cassette tape. Fixed bug that would cause the player’s animations to be screwed up if the player was holding an item (such as a mop or a bucket) while being attacked by a Heroic student. Fixed bug that would cause the occult girl’s “shy” animation to play on top of important animations (like witnessing murder, being killed, or committing suicide). Fixed bug that was causing a flower vase and insulting graffiti to float in the air near the boundary of the school instead of appearing on Kokona’s desk. Fixed bug that would cause Kokona to remain stationary or spin in place instead of walking to the bathroom during her Thursday “Walk to bathroom” event. Fixed bug that would cause the game to become unresponsive if Senpai was given a bald hairstyle and spotted Yandere-chan performing Yandere actions. Fixed bug that would cause the player to get stuck in first-person mode if their camera was out while being attacked by a Heroic student. Fixed bug that would cause the prompt bar to remain onscreen after exciting the phone menu if the player used the “Pass Time” option. Fixed bug that would cause Yandere-chan to become unresponsive if the player paused the game immediately after the struggle minigame. Fixed bug that prevented a weapon from being marked as a murder weapon if it was used to kill during a struggle with a Heroic student. Fixed bug that was causing Kokona to become unable to reach her destination on the school rooftop when her reputation was low. Fixed bug that was preventing Kokona from noticing notes inside of her locker after a certain time in the day. Fixed bug that would allow the player to enter first-person mode while pushing a girl off the school rooftop. Fixed bug that would allow Yandere-chan to make an NPC use the “Distract” command on a mind-broken student. Fixed bug that would cause a student’s status as “Dead” to persist even if the player reset the day. Fixed bug that would cause teachers to slide across the ground after discovering a corpse. Fixed bug that would cause the player to drag a corpse while in first-person mode. I have an important announcement to make, but I want to make sure that everyone sees it, so I’m going to say it in a separate blog post. Come back in about 25 hours to hear some important news! By the way, this is still a HUGE problem, so please read that blog post if you haven’t already.